Purchase one or more of the items needed for the bucket. A collection box is located in the hallway outside of the church office. Purchase all of the items and fill your own bucket. (We made a example at the church for you to see if you need clarification on any thing). Use this link for detailed instructions on how to pack your buckets. Get together with a few folks or your family to create a bucket together. Assist the children in assembling the buckets on October 7th. Purchase a single item or multiple items for the bags. Fill your own bags with all the needed supplies. See this link for details on how to put together your bag. Get together with a few other folks or family members to create a bag or two together. Make a donation to the church and someone will do the shopping for you! 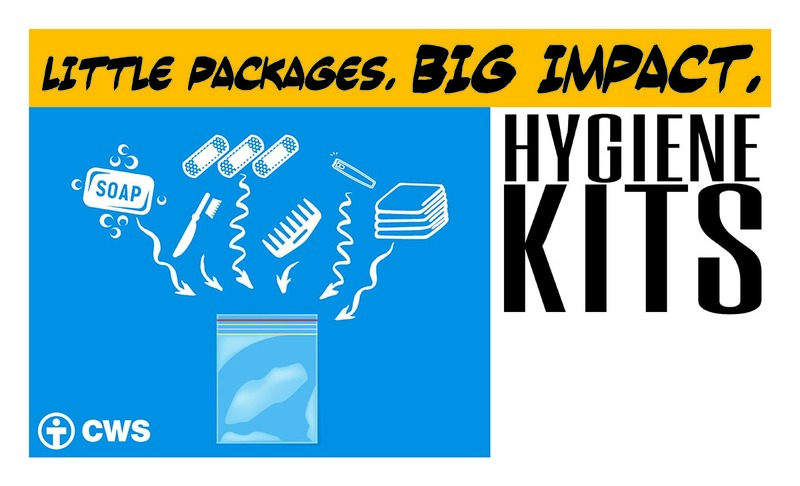 Help the children assemble the kits on October 7th. Many of us cannot physically get to the coast to help with clean up efforts. These kits will benefit many individuals and families as they pick up the pieces after the storms. We are sharing God’s love and peace through our gifts. We are expressing our own love and support of folks whose lives have been turned upside down quite literally. Thank you for your supporting this ministry.